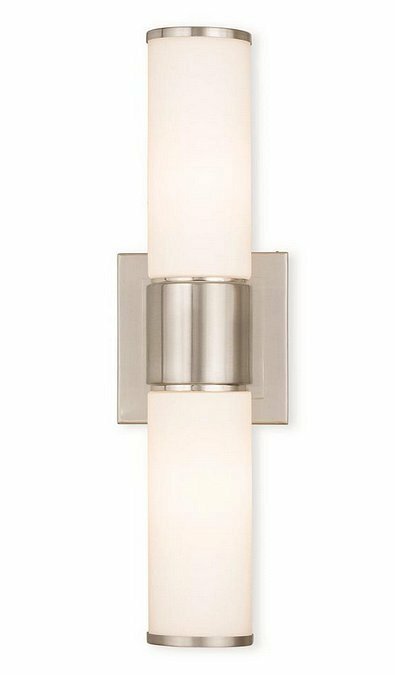 Livex 52122-91 - This stunning design features a brushed nickel finish studded with hand blown satin opal white glass. This sleek design will brighten up bathroom. Pair it with the mini chandelier to give your bath that extra wow factor! Dimensions: 16.5" W x 4.75" H x 3.875" Ext.